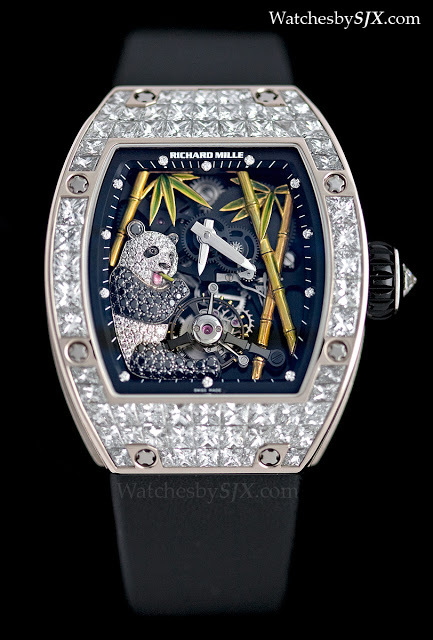 Richard Mille’s latest iteration of its ladies tourbillon is the RM026-01 Panda, with a diamond-set giant panda sitting on the dial, complete with bamboo in solid yellow gold. 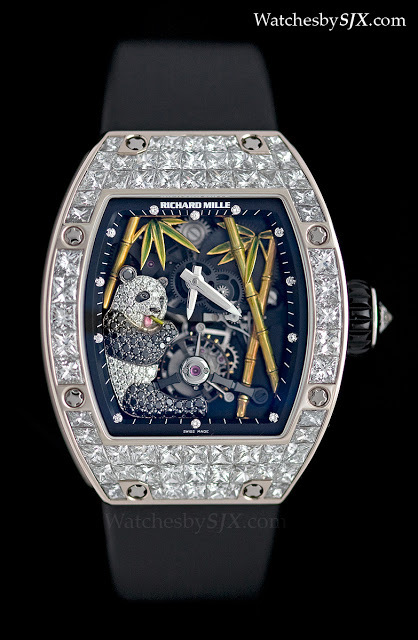 Though better known its is ultra-light, ultra-geek and ultra-expensive men’s tourbillons, Richard Mille has used the same case and movement to create ladies’ watches, with some success. 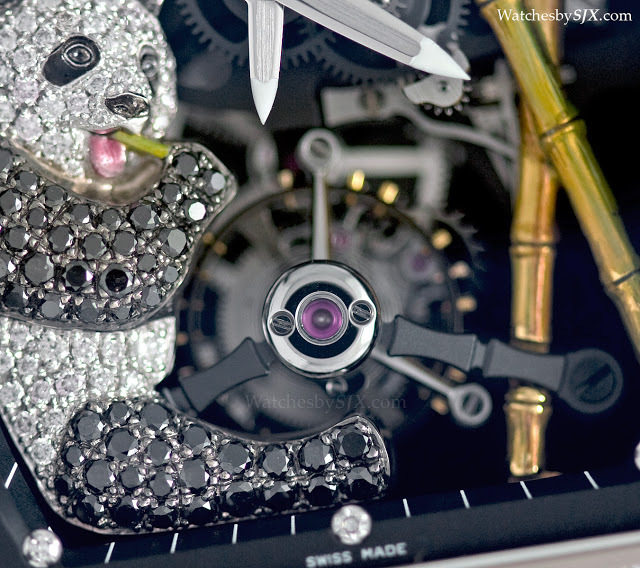 The newest bejewelled ladies’ timepiece is the RM026-01 Panda Tourbillon. 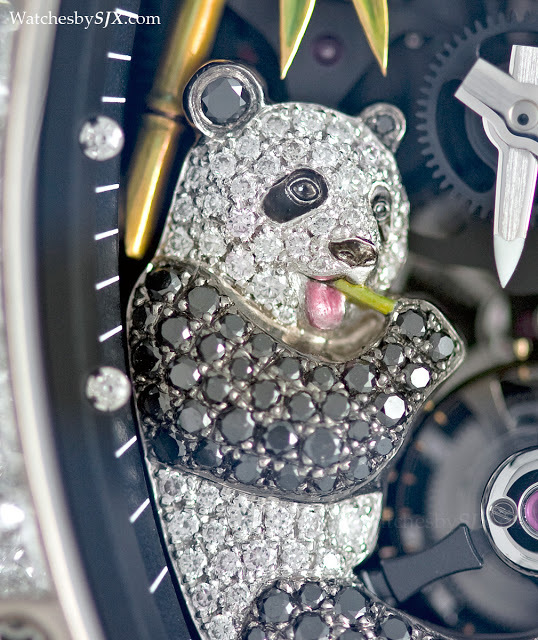 Every creature, mythical or otherwise, associated with China – and which watchmakers think have half a chance of appealing to the Chinese consumer – has been Shanghaied onto a watch dial, or case back. 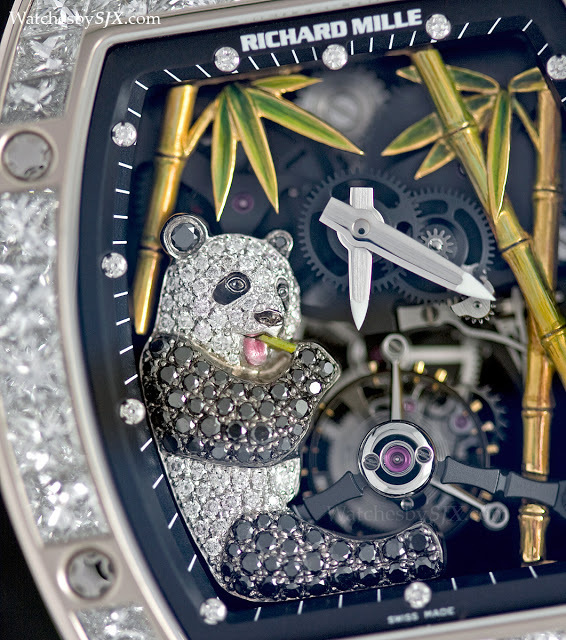 Here the universally adored giant panda, made from white gold and covered in white and black diamonds, sits beside the tourbillon, munching on a stick of bamboo. 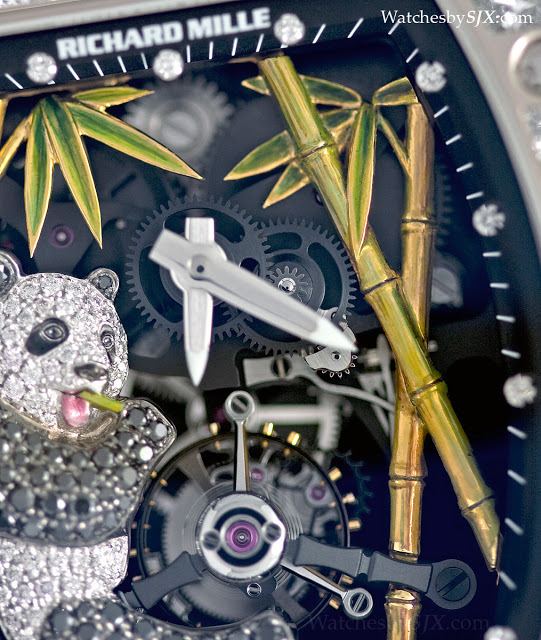 Around him are bamboo shoots, made of yellow gold and hand-painted with a green tint. 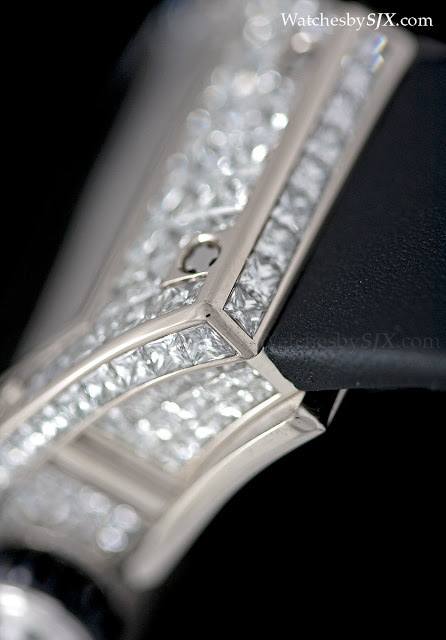 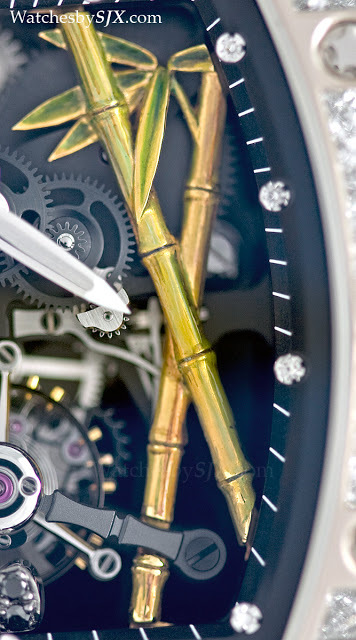 The theme of bamboo shoots continues onto the tourbillon as well, with its titanium bridge shaped like the plant.